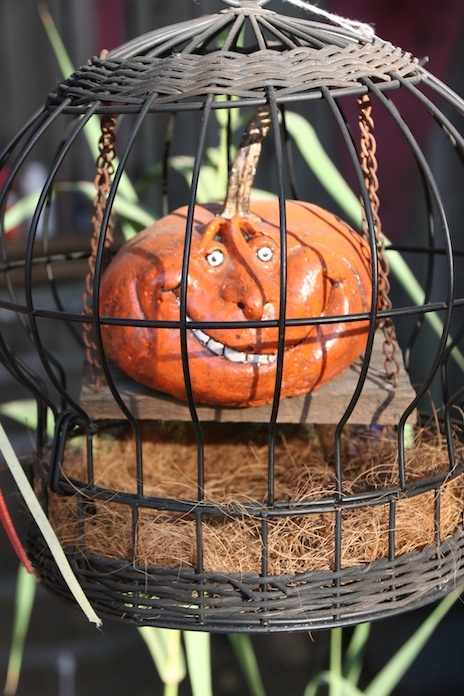 I've been saving these photos from my trip 2 weeks ago to the Kansas City Renaissance Festival (aka, KC Ren-Fest). I've never been at Ren-Fest on Halloween, it must be even more fun than other times, but here are some pics from the weekend, which seem fitting for the Halloween weekend. (You can always click on the photos to enlarge them if you want to see more detail). 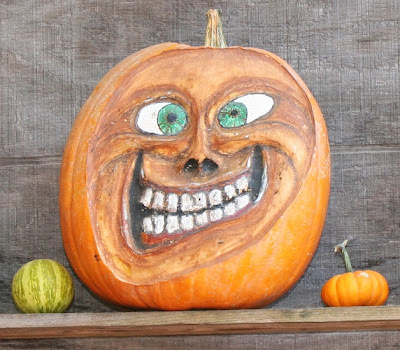 Real pumpkins, carved into very creative jack-o-lanterns. KC Ren-Fest is all about costumes and fun. My friend, T'ger (who you may recall gave me a kidney 5 years ago and saved my life) is a costumer by trade. He makes and sells coats, tights, hats, kilts and all sorts of costumery in his shop, T'Ger Toggs. That's T'ger in the middle, being silly as usual. That's T'ger Toggs, below. Even though KC Ren-Fest is huge, like a small city, everyone knows T'ger. His shop is like a community gathering place and many of the staff characters use T'ger's costumes. Notice the clothes hanging on the line overhead. And the bubbles coming out of the upper corner from the bubble machine. The princess and the archer in hot debate. Everyone dresses up for Ren-Fest. This 85 year old princess hasn't outgrown her love of being a princess. That's Scott, a fireman from Kansas City, who always comes to Ren-Fest and works as a cabbie (Cabroioet), pulling people around the grounds for $5 a ride. He says it's a great workout. One of the fire dancers entertains the crowd. A couple of times a day, all of the paid characters of Ren-Fest parade through the entire complex. There are acrobats on stilts, fire eaters, a King and Queen, princes, princesses, gypsies, jugglers, etc. People bring their dogs. I don't know why. You probably can't see it, but riding on the dog's back is a dragon in knight's gear. If you click on the photo it will enlarge and you can see. And bad-behaving princes (he ate a bad hotdog). Yes, there are gardens at KC Ren-Fest, and good ones, too. But they have a hard time competing with thousands of costumed people cavorting through the woodlands at KC Ren-Fest. I didn't grow any pumpkins this year. The drought hit just as the plants were beginning to bloom and no amount of watering could make up for the hot days that prevented the blossoms from setting. Do something fun for Halloween. Maybe the costumery of Ren-Fest will give you some ideas. Pardon me while I get excited. Actually, humbled is more like it - I always feel honored that you folks follow my garden adventures blog. You're like a community for me; I don't know many people locally who are interested in plants, or even food from plants, so it's always fun for me to see who's following me here. And lots of people read the blog who aren't listed as followers (I can tell from the visit counter, on the lower right of the blog page). Follower, or hidden in the shadows, I'm still pleased you stop by. This past Friday was our Friday night dinner group's annual applesauce making. We get together, combine our apples and efforts and cook up and process apples into applesauce. Everyone divides up the sauce to take home and freeze. Sorry, but things were so hectic, there are no photos of the sauce-making process. Combined with the applesauce making was a potluck dinner for 14 or 15 people. Seth Buller, our WWOOFer, had arrived from Memphis by bicycle a few days back (yes, that's about 7 days of riding!). And he brought along Randy, who is on his first bike ride across America (starting in Minnesota) and wanted some tips on the process so they rode together from Memphis. (That's Randy, below, chopping wood in exchange for his room and board for 4 days; Randy's not a WWOOFer, nor a gardener, but is on his own journey of discovery across the country). He headed on to Tulsa from here. Seth, who's from Virginia, has been on the road with his bike since March, with a stopover in Knoxville, where his expensive bike, along with all of his camping and survival equipment was stolen. So instead of arriving here at Long Creek Herb Farm in May or June as he'd hoped, he spent the summer working a job in order to earn about $5,000 to replace the lost in equipment before he could continue his WWOOFing journey. He wanted to learn more about herb uses while he was here, so I asked him to take my Easy Homemade Crackers book and pick a cracker to make for the applesauce party. He chose the Rustic Herb Seed Crackers. Here's the process and the recipe. These are an easy to make, simple and homemade-looking cracker that's great with cheese, fruit, snacks or dips. 1 Tablespoon coarse sea salt. In a mixing bowl, combine the flours, cornmeal and water and mix well. Set aside for 5 minutes, then scrape the dough onto a well floured surface. 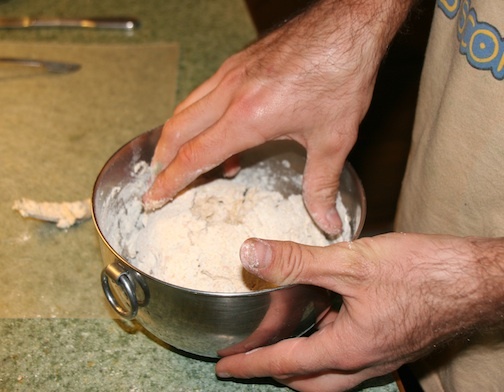 Knead the dough several times, adding more flour if necessary. Divide the dough into 8 approximately equal pieces, and roll into a ball between your palms, setting aside. Mix together the seeds, herbs, pepper and salt. 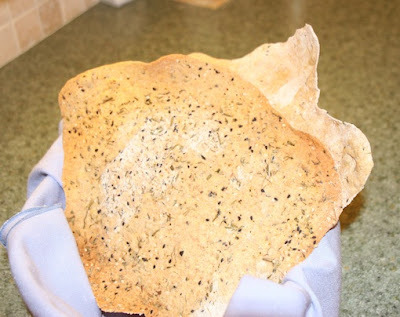 On a floured surface, scatter 1 Tablespoon of the herb-seed mixture and spread it slightly. 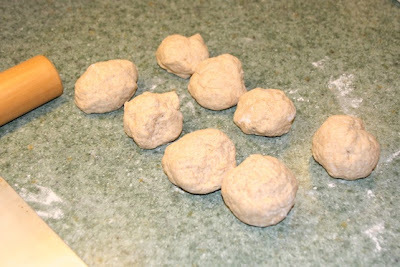 Roll out one of the 8 dough balls until as thin as possible, less than 1/8 inch thick on the herb-seed floured surface. Transfer the rolled dough onto a lightly greased baking sheet and bake for about 5 minutes or until lightly browned. Flip the cracker over and continue baking another 3-4 minutes. (The thinner the dough, the quicker it will bake and the crispier the cracker will be). 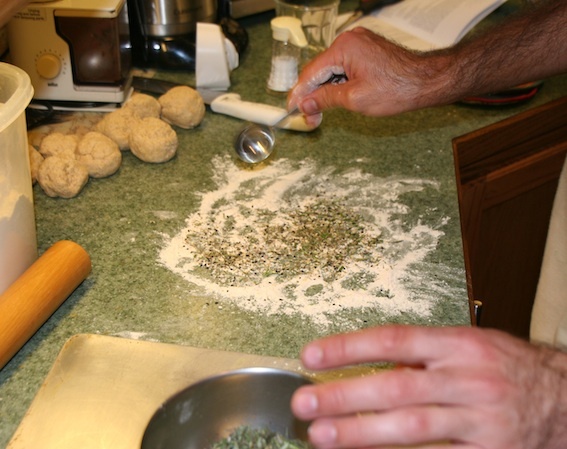 Continue rolling out the dough, using a Tablespoon or more of the herb-seed mixture for each ball of dough, along with a dusting of flour so the dough doesn’t stick. You can probably place 2 of the rolled dough pieces on a cookie sheet for baking. After cooling completely, store in an airtight container or simply wrapped in cloth until ready to serve. Break crackers into random pieces before serving, or let guests break them apart themselves. I put these out at a party recently and guests simply broke off pieces of the cracker as they chose cheese sticks and fresh grapes from the appetizer tray. *Texas tarragon (Tagetes lucida), also known as Mexican mint marigold, is an easily grown tarragon-flavored herb. You can substitute French tarragon if you wish, but if you grow your own Texas tarragon, use that as the flavor is a bit more robust and tasty. If you'd like to check on Seth's great bike adventure across America, check his very interesting blog here. He's been a pleasure to get to know and fun to have at the farm all week. I'm sure our paths will cross again and I plan to check his blog often to see who and what he's encountering on his wonderful journey. He's heading north from the Ozarks, to Kansas City, on to Nebraska to visit grandparents, then over to Denver to spend the winter with friends. And yes, all on the back of a bicycle. I admire that stamina and sense of adventure! My little pumpkin patch here at Long Creek Herb Farm didn't produce anything this year. Between the squash bugs and the 6 weeks of drought, the vines just gave up. 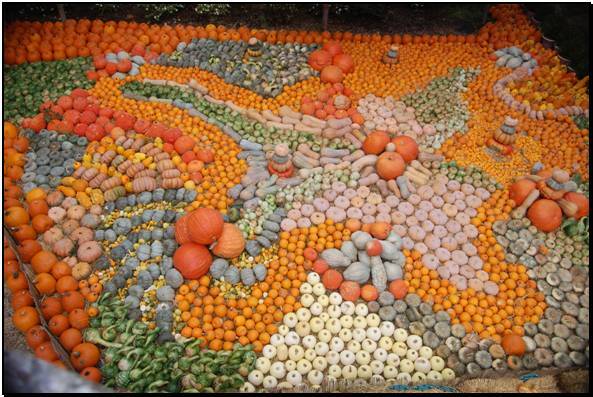 But look what you can do if you have 40,000 pumpkins to play with. This is what I saw being constructed when I was at the Dallas Botanic Garden a few weeks ago. Jimmy Turner, our kind host for the Botanic Garden at the Garden Writers of America conference, sent these photos along (and some pix are mine, as well). This is the entry way into an impressive pumpkin village, which includes a pumpkin gazebo, a pumpkin house, kids games and more pumpkins than you could ever imagine. The pumpkin hut, below, was still covered with planters filled with vines that had covered the entire walls on all sides when I last visited. (Vertical gardening is big this year, possibly a response to people who have a small place to garden; going up, on walls, takes the place of traditional horizontal planting). Here it is before, followed by how it looks now. 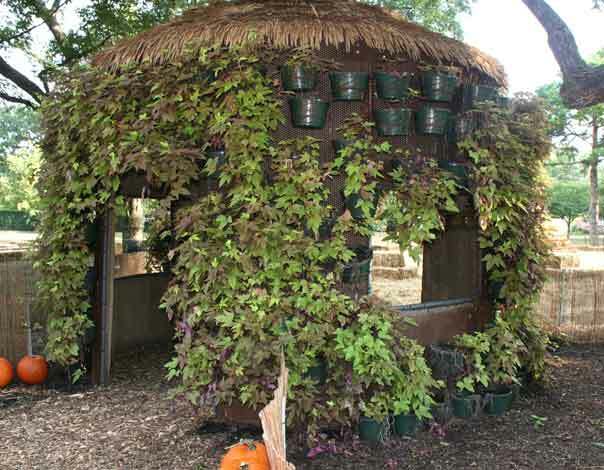 Notice the planters covering the walls with the vines growing out of each one. Same building, different view, after being taken over by the pumpkins. Here, going just for design, the various colors are arranged to surprise the eyes. 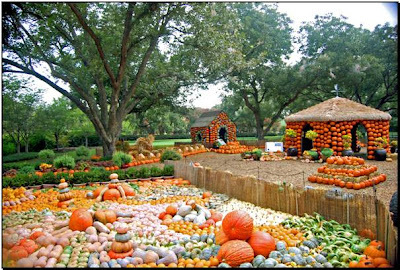 And it is truly an amazing surprise, seeing all of those punkin's there in one place. 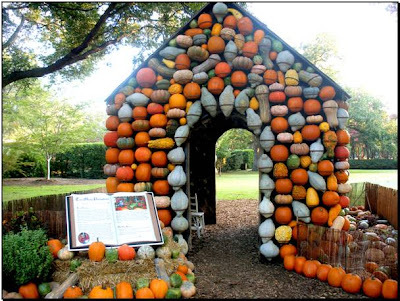 But the biggest and best structure is the pumpkin gazebo, in my opinion. 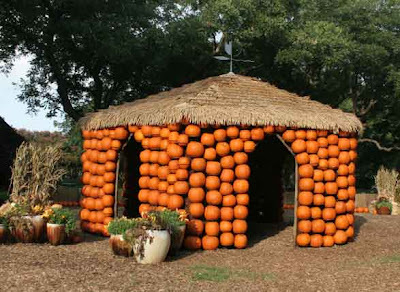 I couldn't help but wonder, who gets the pumpkins after the exhibit? Do they go to a homeless shelter for pies? Hog ranch for hog feed? Maybe they have a big compost pile at the Botanic Garden. I'll ask. Or if you're curious where all the pumpkins go after they're done with them, ask Jimmy Turner, I'm sure he has the answer. While posting this, I had cookies baking in the oven. This is a favorite recipe a friend gave me decades ago. I'm guessing it may have originated in the old Moosewood cookbook, but I'm not certain. These are substantial relatively healthy cookies, simple, not too sweet and pretty much no-fail. Grape-Nuts, raisins, sunflower seeds, cornflakes, Raisin-Bran, coconut, peanut butter, chocolate chips. Drop by teaspoonful onto an oiled cookie sheet and bake in a 350 degree F. oven for 10-12 minutes. I like my cookies larger, so I use about 1/4 cup per cookie and bake them about 14 minutes. Today I also added Craisins, pecans, coconut and sesame seed.Wonder how some pumpkin in the cookies would be? Goldenrod has gotten a bad rap over the years. 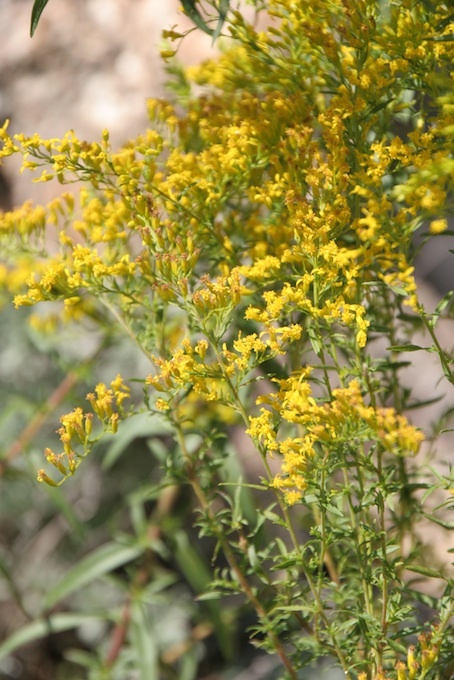 Because this plant is in bloom when the fall allergy season starts, pharmaceutical companies (or rather, their PR firms) have photographed fields of goldenrod, inferring your fall allergies come from goldenrod. It's been proven to be false advertising, but since goldenrod has no lobbyists, it continues. Goldenrod has large-sized pollen, whereas ragweed (Ambrosia artemisiifolia) has tiny, dust-like pollen that is easily lapped up in a breeze. Ragweed is the culprit, it's just not as colorful to photograph for a t.v. ad. 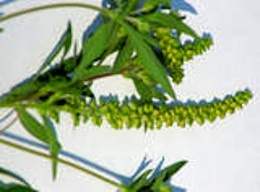 There are 17 varieties of ragweed in North America. It's not easy to tell the difference between "regular" goldenrod and sweet goldenrod by looking unless you're a plant geek. The sure way to know, is break off a leaf and smell it. If it has an anise or licorice fragrance, taste it. The flowers taste better than the leaves, but both are pleasant flavored. To make tea, slightly crush up 4 or 5 leaves, or a teaspoon of fresh or dried flowers. Pour a cup of boiling water over and cover with a lid and let steep for 5 minutes to extract the flavor. Sweeten with honey. It's a good bedtime tea, relaxing. Combine flour, baking powder and salt in food processor and pulse-blend once. Add the remaining ingredients and pulse blend for 15 or 20 seconds, until blended. Chill dough for 30 minutes in refrigerator, then drop by tablespoons onto an oiled cookie sheet. Bake until lightly browned, about 6-7 minutes. I feel like I've lived in my truck for all of September. Wondering, even, where September went. 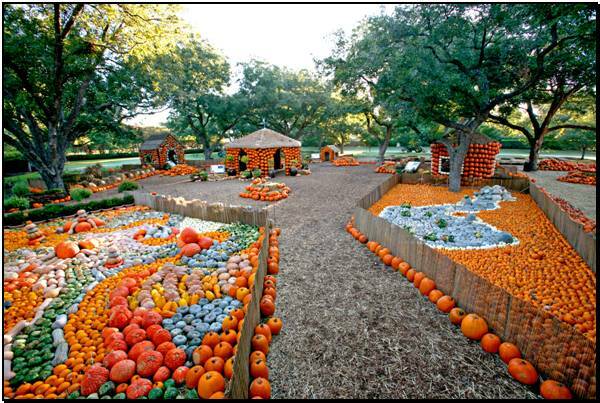 I remember planning for Dallas and Garden Writers. The 10 hour drive each way, coming back with lots of great new plants to trial, then barely unpacking just in time to pack for the 2 1/2 day drive to southwestern Pennsylvania. But it's all good, except for the garden being somewhat neglected. 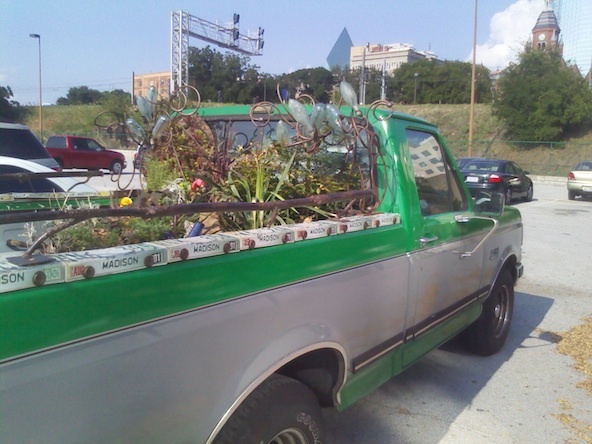 Anyone can garden and I offer this photo, below, of Felder Rusing's garden-in-a-truck. He has all kinds of plants in the bed of the truck (he says this is the real truck garden). There are herbs, perennials, flowers and even a bottle tree. He said it proves anyone can garden, anywhere, if they will simply try. This garden, according to Felder, has traveled 70,000 miles this year. 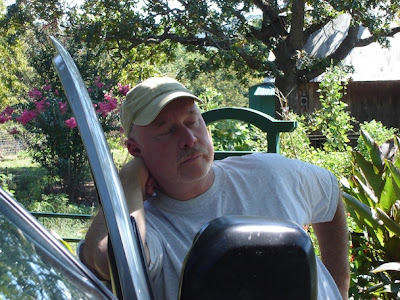 If you don't know Felder, he's the crazy author of a bunch of great books on gardening, totally off the wall and loads of fun; check his website. Josh and I drove to Pennsylvania, leaving home on Sep. 21, arriving in time to set up our booth at the Mother Earth News Fair on Friday. (He flew home on Monday, I drove 738 miles on Monday, 310 on Tuesday). The Fair, Mother's first ever annual (with more to come next year) was held at the very interesting and extremely remote, Seven Springs Mountain Ski Resort. Here was our view of some of the ski slopes out our 7th story window. It's a beautiful, huge place and probably interesting with snow, too. And this one, of the woods in the other direction. It was deeply wooded all around, with hiking and horseback riding trails, 5 restaurants, conference center and more that we never got to see because we were too busy. As you can see, below, fall and leaf-turning had already started in Pennsylvania. This first ever, annual Mother Earth News Fair was pretty amazing. They hoped for a total attendance of 8,000 people. Some of the staff said they had nearly 7,000 on Saturday, another 3,000 on Sunday, well exceeding the expectations. I gave 3 programs (Making Bentwood Trellises, Therapeutic Uses of Herbs and Growing and Using Herbs, plus being on a panel with K.C. Compton, Managing Editor of The Herb Companion magazine, with 2 others). My programs, like most everyone else's, was standing room only. I love big crowds, the energy is better, the questions more numerous and I draw my energy and enthusiasm from my audiences. 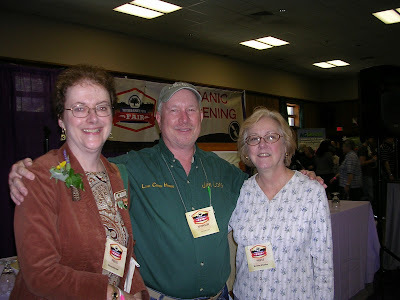 Nancy Heraud (known as the Lemonverbena lady: here's a link to her award-winning blog, check it out), and follower of this blog, came, bringing me a special gift of a jar of her homemade Cinnamon basil jelly. I was so flattered and honored at her thoughtfulness. That's her on the left, below, with her friend, Bonnie Shanko on the right. No idea who the guy in the middle is. Josh spent almost all of his time at the booth while I was speaking. One of the great things about the Fair was the people who came were people who read. 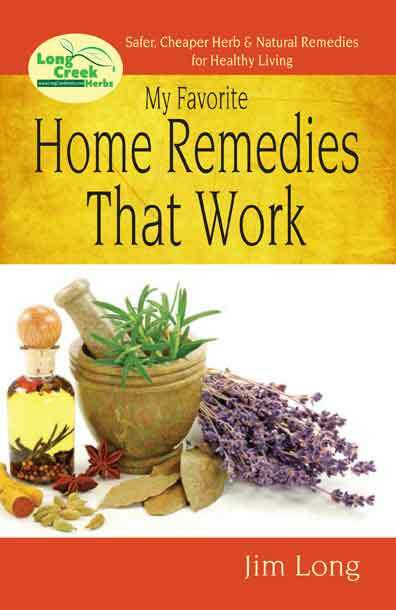 My books sold well, so did my formula Herbal Nail Fungus Soak. There were a wide array of vendors selling green, sustainable technology. Composting toilets, garden tools, solar products; outside, in an area I never saw (I only saw about 40% of the Fair, it was huge) were Amish products, llamas, sheep, bees, all kinds of products, tools, items you need or need to know about if you want to grow your own food, spin your own wool or simply live more lightly on the land. Here's our booth, with Josh glued in place. We were swamped with customers for all of both days, this was just before we opened on the first day. The Fair is already being scheduled for next year, probably in 3 locations around the country. We were an official Sponsor this year (meaning we got a lot of advertising and especially nice treatment). This proves some points I heard in the Keynote address in Dallas at the Garden Writers Conference, given by Kierstin De West. Kierstin is the CEO, co-founder and key strategic and research mind at Conscientious Innovation, a Vancouver, B.C. She said, based on some very extensive research, that the "new" shift to green technology, the entire sustainable movement, is not a fad for a fashion that will go away. It is a culture shift that is a profound change in American culture that will have implications on businesses, gardens, publishing and even politics for a long time to come. With that thought, I will leave you with this amazing garden spider who built her web across the garden gate where I was working on building a stone and concrete step. This particular spider always has a zig zag pattern on the lower portion of the web and is harmless unless you're an insect. These are good spiders, catching lots of the insect pests that bother the garden. She's still there, as of this morning. It was nice to come home to the garden!